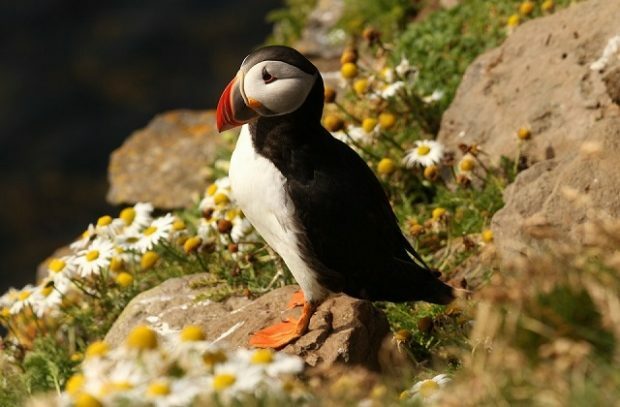 On today's blog we look at the work that is being done to protect puffins during National Marine Week which celebrates the UK’s rich marine life and habitats. Today we announced plans to extend the Flamborough Head and Filey Coast Special Protection Area (SPA) by over 7,600 hectares, providing greater protection for England’s largest seabird colony. The Yorkshire Post and The Daily Telegraph have both covered the news. This protected area of the Yorkshire Coast is a safe haven for breeding seabirds, with a quarter of a million birds such as razorbills, gannets and the iconic puffin now being given extended safe space for feeding and foraging. The announcement has come during National Marine Week, which celebrates the UK’s rich marine life and habitats. We are a world-leader in protecting our marine environment, with a third of our waters already protected as part of our Blue Belt. National Marine Week is a fantastic opportunity for us all to celebrate the diverse range of habitats which make up the British coastline, and the role we all have to play in protecting these. These new safeguards for seabirds will help our most precious and iconic wildlife to thrive, and protect our marine environment for future generations to enjoy. Natural England has also today launched a consultation to extend the nearby Teesmouth and Cleveland Coast SPA by nearly 10,000 hectares, protecting populations of breeding little terns and common terns. Extending marine protection areas allows for much loved seabirds to feed and breed in a safe haven, ensuring they can thrive for generations to come in a safe and secure habitat. Our consultation on extending the Special Protection Area at Teesmouth will help to protect populations of breeding little terns and common terns. Natural England has worked closely with our partners on the Tees to develop these proposals and we welcome views from the local community and stakeholders.